I don't know about you but I love books set in the UK. Of course that could be because I live there. But I also love books in a series with secondary characters that then pop up in stories of there own. Well you're in for a treat with this set. Because Least Expected ties into the Tuscan Legacy books in a most unexpected way. (Pun fully intended.) It tells the story of Rachel's mother, Maggie, and how she finds love when she hits her fifties. 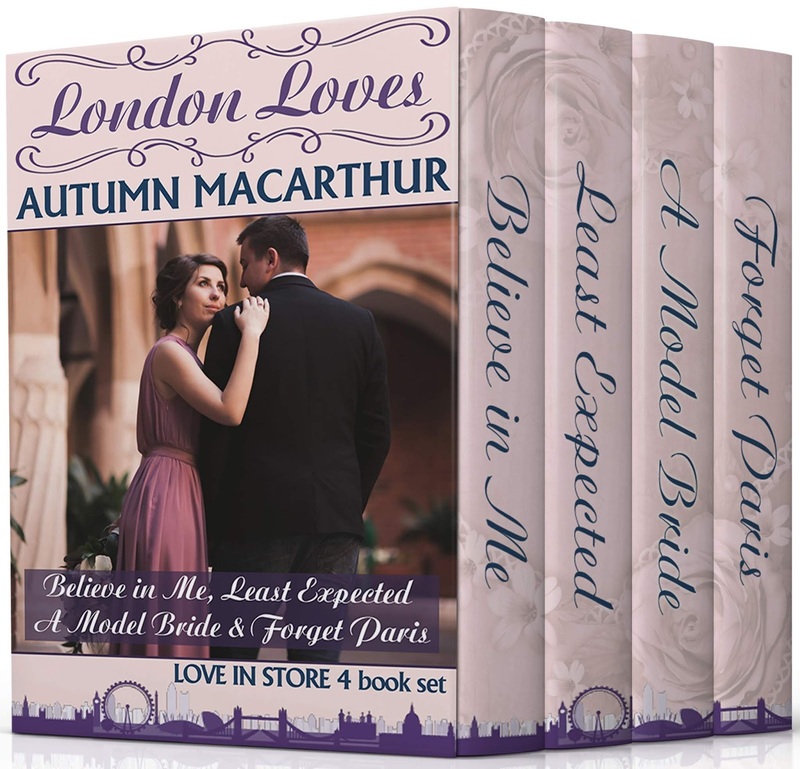 Fall in love with these uplifting and inspirational romances set in London, Paris, and Edinburgh! Books 2, 2.5, 3, and 4 in the Love in Store series of sweet and clean Christian romances celebrating love and faith, together for the first time in this collection! 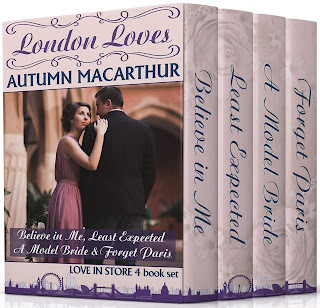 Each story follows a different couple connected to a grand old London department store through the trials and joys of falling in love, to their commitment to a happy-ever-after. Book 1 in the series, The Wedding List is available free, but there's no need to read it first, as each story is a complete romance. When Nick Gallagher, the Hollywood actor playing the store's celebrity Santa challenges Ms Scrooge accountant Cara to a Christmas dare, can she overcome her painful past and rediscover love, joy and faith? A heartwarming reminder of the importance of believing in God's promises, along with a lot of London Christmas sightseeing! Maggie Golding, unconventional and artistic 50-something designer for the Christmas store windows at Pettett & Mayfields, never expected to fall in love with Edgar Pettett, staid and sensible heir to the business. Between her shaky faith, their huge differences, and his mother’s disapproval, how will they possibly work things out? Christmas in London, New Year's Eve in Edinburgh, where next? Nothing in her Europe trip goes as Tiffany Gallagher planned, but when she meets wounded Scottish photo-journalist Mac while volunteering at a homeless shelter, she discovers God's purpose for her life is far more than she imagined!